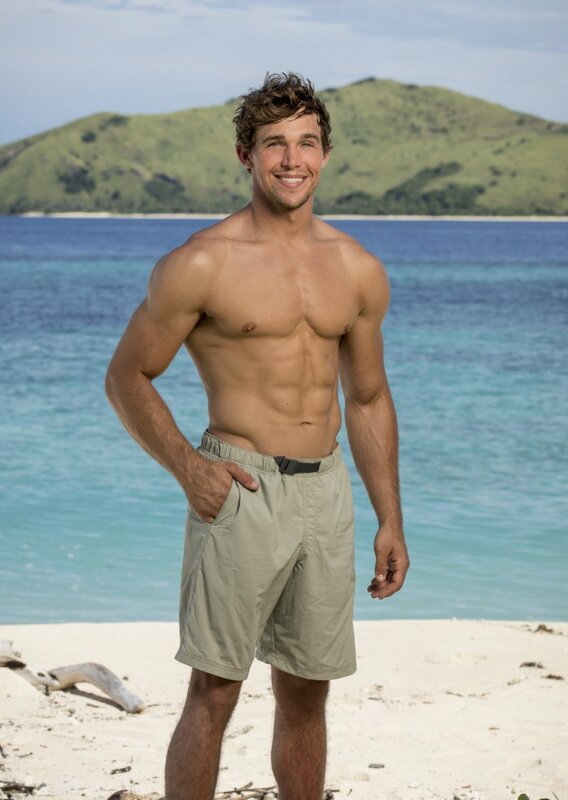 Survivor: Heroes vs. Healers vs. Hustlers' merged Solewa tribe voted out Cole Medders during Wednesday night's episode on CBS. "I was hoping that it would be [Joe Mena] instead of me, but that's not what happened. Everyone was gunning for me because they see me as a physical threat," Cole said following his ouster. "I'm just so grateful to have been here. I played hard. I'm proud of what I did, no regrets at all. And I definitely still have hopes for [Jessica Johnston]. That was a highlight of my day, when I got to go out fishing and just hang out with her. So I hope that continues to be a highlight of my days in the future." The Survivor broadcast began on Day 22. Mike realized there was a seven-person majority and he had to throw the Healers under the bus in order to stick around at least a few more days. Mike therefore told Lauren Rimmer, Ben and Ryan Ulrich that they had been stealing peanut butter, and he wanted the Heroes and Hustlers to target Cole or Joe next, both of whom he said were hated by the rest of the tribe. Ryan then told Devon Pinto about the hidden Immunity Idol in his pocket. Ryan didn't think Devon would ever tell anyone about it, and he liked the fact Devon depended on him. For the Reward Challenge, Survivor host Jeff Probst divided the tribe into two teams at random and instructed them to swim out to a tall ladder, climb the ladder and leap off it, retrieve three keys under the water, open a chest and then use the balls inside to score five baskets. The winning five castaways would be taken on a luxury yacht, where they would tour the islands while dining on sandwiches, cold beer, red wine and chocolate cake. The teams were Ben, Devon, Ashley Nolan, Ryan and Lauren against Cole, Chrissy Hofbeck, JP Hilsabeck, Joe and Mike. In the end, JP was great in the water and Joe did an amazing job shooting baskets, so they won Reward for their team. Chrissy was disappointed she wouldn't be enjoying the Reward with her friends, but she was glad she could at least control the conversation. While on the yacht, Joe acknowledged the three Healers were on the bottom of the 10-person tribe, so he looked for an idol in front of everyone and didn't care how bad it looked. While half the tribe was enjoying a feast, half the tribe was starving on the beach. Ryan talked to Ben about the fact he had an idol, and Ben was thrilled because Ryan having the idol meant that Cole didn't have it. On Day 23, Joe was digging for an idol out in the open, even though he thought it didn't really exist in the spots he was looking. Mike called Joe "strangely entertaining," but Chrissy just thought his antics were annoying. Joe then attempted to ruffle some feathers at camp by announcing Ashley was "the ideal definition of a goat" and he'd love to take her to the end. Ashley called him "a bully on a playground," and his words clearly bothered her, but Joe warned Chrissy that he didn't choose to compete on Survivor for an adventure or to make friends. On Day 24, Ben tried to secure Devon as a third alliance member with Lauren and himself because he seemed to have "a good soul and a good heart." Ben then shared a secret with Devon, that Ryan had an idol. Devon pretended like that was big news, but he was a little offended because Ryan had promised he was the only person who knew about it. Devon initially wanted to go to the Final 3 with Ryan, but he decided to detach from his best buddy and play with Ben. At the Individual Immunity Challenge, each castaway was required to squat with heavy bars on their shoulders that balanced an urn. If the urn dropped at any point, that person would be out. Ashley was first out of the challenge, and she was then followed by Mike, JP, Devon, Joe, and Ben. After 20 minutes, Chrissy dropped her urn and then Ryan. Cole and Lauren were the last two players left, and then Lauren was victorious. Cole knew he had a target on his back, but he hoped the tribe would take out Joe instead. Cole was actually the tribe's main target since he performed great in Individual Immunity Challenges, but in case an idol might be played, Ben told the cameras his alliance was going to split the vote -- four for Cole and three for Mike. Ashley, however was frustrated because she really wanted Joe gone. Chrissy, Lauren, and Devon agreed they wanted Joe out first, and the group wasn't happy about the "dictatorship." Ben told Mike to vote for Cole, but Mike didn't want to feel like he was playing someone else's game. Mike therefore talked to Joe about flipping the vote upside down and voting out Ben. Mike decided he was going to play his idol at Tribal Council for either Joe, Cole or himself. "It's go big or go home time," Mike told the cameras. Chrissy then told Ben they should vote for Joe because there wasn't much logic in throwing votes on Mike. Ben disagreed, however, especially since he had already advised Mike to vote for Cole. Ben also knew that people didn't like Joe, which meant he'd be a great person to take to the end. Chrissy, on the other hand, believed Joe as a strategic threat was more dangerous than Cole as a physical threat. At Tribal Council that night while Desi Williams was walking in to take her seat on the jury, Mike whispered to Joe, asking him to follow his lead and trust him. Joe appeared a little confused and concerned. Mike then announced to the group that they were showcasing poor moral judgement and character by complaining about Joe's behavior but then not voting him out. Lauren said Mike was digging himself deeper and deeper into a hole, but Mike just sat there with a big smile on his face. Mike pointed out that once the remaining three Healers were gone, the three Hustlers wouldn't be able to beat the four Heroes, and Joe agreed people needed to wake up and play the game. Before votes were cast, there was a lot of whispering and side conversations, and Chrissy and Ben confirmed to each other that they were "good." When it became time to play a hidden Immunity Idol, Mike took his out and played it for himself. Jeff then read the votes aloud in the following order: Ben, Mike, Mike, Cole, Cole, Cole, Cole, and Cole. The episode's closing credits later showed that Chrissy and JP voted for Mike; Cole voted for Ben; and Lauren, Ben, Ryan, Ashley, Devon, Mike, and Joe voted for Cole.